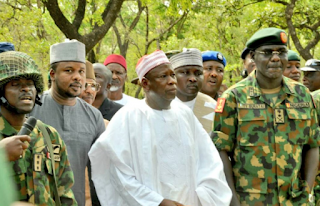 Governor Abdullahi Ganduje of Kano State has declared that Igbos residing in the state will not leave. He made the declaration against the backdrop of the quit notice issued by the Arewa youths asking Igbos to vacate the North by October 1. The governor said this while addressing reporters at the national secretariat of the All Progressives Congress, APC, in Abuja, on Wednesday. Ganduje maintained that everybody resident in Kano was an indigene of the state. He disclosed that his administration had abolished the indigene/settler dichotomy in running the affairs of the state and as such Igbos were free to remain. 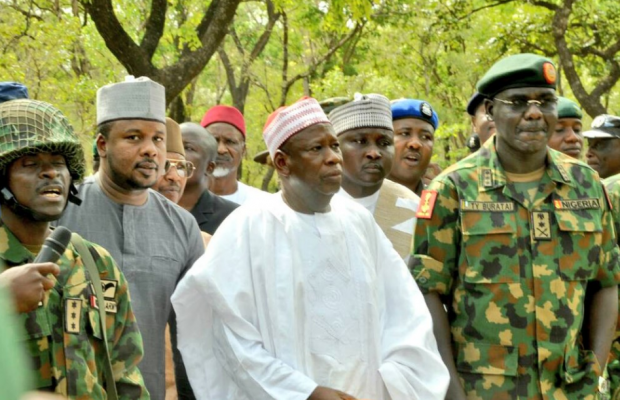 According to Ganduje, “Nobody gave a quit notice in Kano. Even when they heard (about it), they (Igbo) said they were not going anywhere and we too told them that they are not going anywhere. “So, it is an issue that we in Kano, want to show as an example of national integration. “Therefore, in Kano we are speaking with the people and, in fact, we have even abolished the issue of indigenes versus settlers.